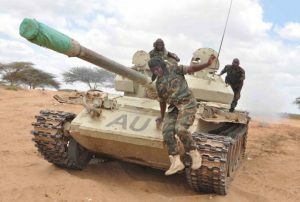 KAMPALA-The African Union Mission in Somalia has started investigating the killing of civilians by the troops from the Burundian contingent on Tuesday. A statement issued by AMISOM on Wednesday night said “full-scale investigations” would determine how the Burundians killed four civilians after their convoy was attacked by an Improvised Explosive Device at X-Control Balaad. “AMISOM has commenced a full-scale investigation and will work closely with the competent FGS authorities to determine the full truth about the circumstances in which this violent incident took place. The findings of this investigation will be made public,” the statement said. On Monday, the local people quoted in the media alleged that the AU troops opened fire after the roadside bomb went off targeting the soldiers.